In 2014, Bryan Bennett earned Southland Conference Offensive Player of the Year honors under Satterfield’s tutelage, throwing for 2,357 yards and 18 touchdowns while rushing for an additional 669 yards and 15 scores. 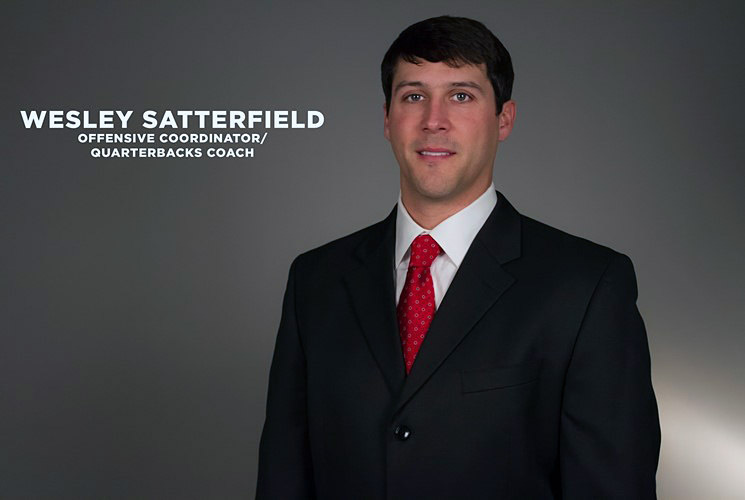 Prior to his time in Hammond, Satterfield spent two years in Chattanooga, working first with the tight ends and then with the running backs during the same time Healy was overseeing the Mocs’ quarterbacks. In 2012, Faysal Shafaat earned third-team All-American honors with Satterfield as his positional coach. Satterfield got his start as a quality control assistant and graduate assistant at North Carolina (2007-09), working with receivers and quarterbacks. Satterfield was on Butch Davis’ staff during an era when the Tar Heels played in back-to-back Meineke Car Care Bowls (2008-09). Following his stay in Chapel Hill, Satterfield earned his master’s degree in education administration from Ohio State, serving two seasons on the Buckeye coaching staff under Jim Tressell and Luke Fickell. He aided the offensive staff and assisted with special teams in Columbus. A four-year starter at quarterback during his playing days at Sewanee, he was named SCAC Offensive Player of the Year as a junior, setting the conference record with 11 rushing touchdowns by a quarterback. He also was the kicker and punter for the Tigers before graduating in 2007 with a bachelor’s degree in American History. A third-generation coach, Satterfield was an all-state quarterback and kicker at Trousdale County High, where his father and previously his grandfather served as head football coach. He is a native of Hartsville, Tennessee.